Institute provides partnership with more than 40 countries such as Japan, Germany, France, Spain, Italy, Switzerland, Netherlands, Denmark, Sweden, Turkey, Russia, Ukraine, Georgia, Iran, Arab Emirates and etc., also with scientific-research institutes of the Republic. This partnership reflected in published scientific articles. 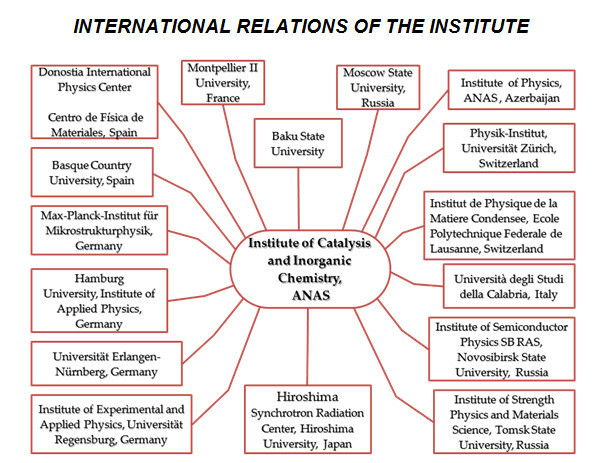 In 2015 the Institute established “Advanced Materials for Quantum Computing and Spintronics” international laboratory with Donostia International Physics Center of Spain, with Berlin Technique University of Germany, Huddersfield University of Great Britain Royal Scientific Society, Heat and Mass Transfer Institute of the Belarus Republic “Fundamental researches of synthesizing and applying catalysts based on nanocarbon materials obtained from oily caustobiolyths” international laboratories. 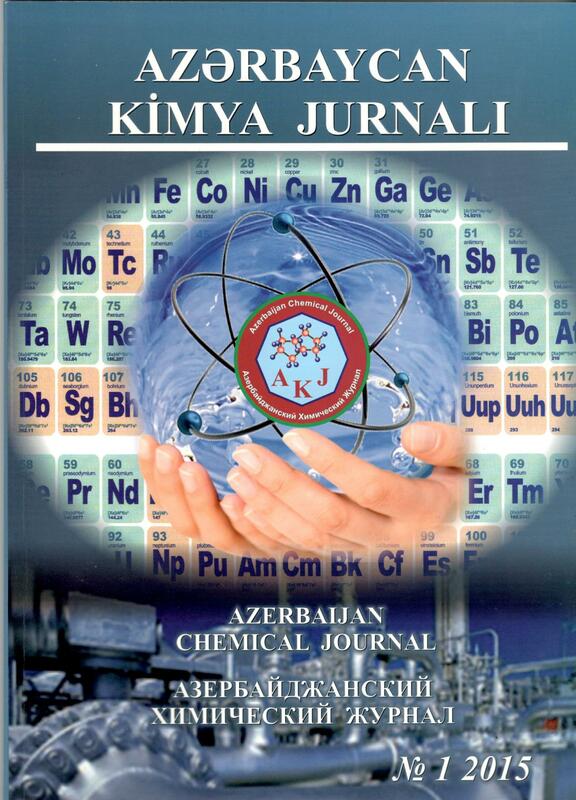 - In 2012–2013 research works was implemented on “Development of controlled technology of special synthetic iron” within framework of Partnership Program of Ukraine Scientific-Technological Center with Azerbaijan Republic. - From 2012 the scientific – research work will be implemented on electrochemistry with National Research Center “Moscow Power Engineering Institute”. - From 2011 the research work will be implemented till 2014 on “Electrochemical synthesis of semi-conductor thin films and nanoparticles” with Sohag University of The Arabic Republic of Egypt. - In 2010–2012 research works on “Catalytic oxidizing conversion of methane to ethylene and acetylene” and “Development of distilling technology of sea water by gas-hydrate method” with King Abdul Aziz Science and Technology Center (Saudi Arabia). - In 2008–2012 research work on “Development of treatment technology of household wastes by adding macro-microelement compounds” with Sakarya University of Turkey. - In 2007–2012 research work on “Sorption of mercury and cadmium ions with complex forming synthetic and natural polymers” with Technical Center on Higher Education of Islamic Republic of Iran. - In 2007–2012 research work on “Treatment of solid household waste waters with local dolomite and zeolite” with Alanya Municipality (Turkey). - In 2006–2012 Improvement of extraction method technology by adding Mn, Br microelements of phosphate acid in Samsun Nitrogen plant (Turkey). - In 2007–2010 scientific-research work on “Synthesis of metal complex sorbents, research of them in oxidation reactions of sulfides and use of them as biosensors” with “Sci Tesh Link” company (Sweden), Ruhr University Bochum (Germany), Institute of Cell Biology (Lvov) and Institute of Molecular Biology and Genetics (Kiev) and A.N.Bach Institute of Biochemistry of RAS (Moscow). - In 2005–2008 research works on “Low-power clathrate distilling apparatus” and “Autonomous windy hydrogen station” with Ukraine Scientific-Technological Institute. - In 2003–2006 International INTAS Association grant with scientists from Lund University (Sweden), Ruhr University Bochum (Germany), Moscow State University (Russia), State Foundation Institute of Pharmacology Russian Academy of Medical Sciences and Tbilisi State University (Georgia). 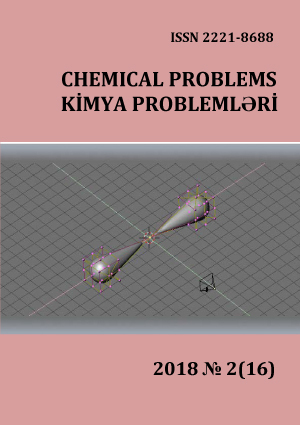 - In 1999 the scientific work on “Synthesis of catalytic zeolites” was implemented within the framework of NATO “Science for Peace” program with Marmara Research Center (Marmara, Turkey) and Institute of Petrochemical Processes named after Y.G.Mammadaliyev. 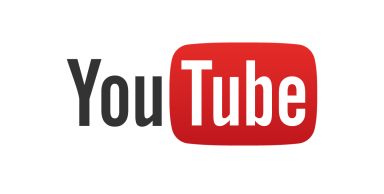 - In 1997–2001 the scientific work on “Obtaining of polymer sorbents and research of sorption processes” was implemented on International INTAS Association grant together with scientists from Pisa University (Italy), Royal Institute of Technology (Stockholm, Sweden), University of Bremen (Germany), Institute of Organic Synthesis of Russian Academy of Sciences and Ural State Forest Engineering University (Russia, Yekaterinburg). - In 1994–1995 “Oxidative dehydrogenation of coordinated ligands” with Marmara University (Turkey). - In 1994–1997 Soros grant of USA on “Interrelated epoxidation and hydroxylation of hydrogen-peroxide with propylene in heterogeneous biomimetic system”.